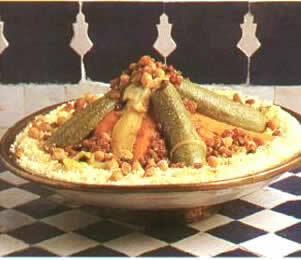 The first things that come to mind when mentioning Moroccan cuisine are Couscous and eating with one's hands. While this isn't wrong by any means, it does however do an injustice to its richness and diversity. Thanks to a wonderful Mediterranean climate and contact with some of the world's greatest civilizations, Moroccans have developed their cuisine into one of the world's most complex and diverse. Moroccan cuisine’s greatest characteristic and its most notable contribution is its ability to masterfully mix opposing flavours and diverse ingredients, creating a rich and memorable gastronomic experience. Rich, sweet, salty, zesty; Moroccan cuisine effortlessly mixes these flavors understating the complexity of its recipes and methods of preparation, carefully honed over centuries. 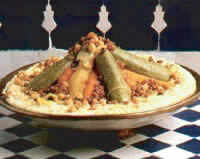 Moroccan cuisine has long had a reputation of being one of the world’s most diverse and developed cuisines, and has been gaining tremendous popularity around the world as of late. This is the quintessential dish from the fishing port of Safi in the south, near Essaouira. This fish tajine is stewed in a clay “tajine” with an assortment of spices and vegetables.